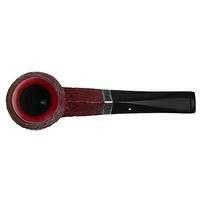 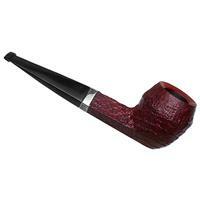 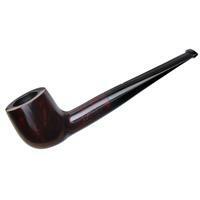 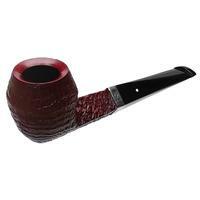 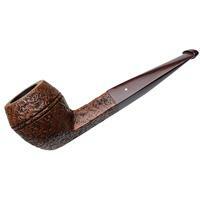 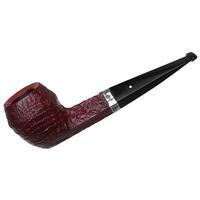 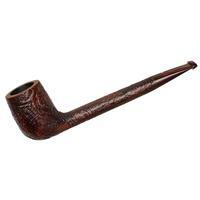 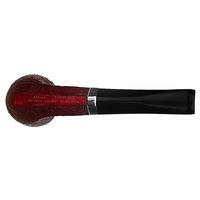 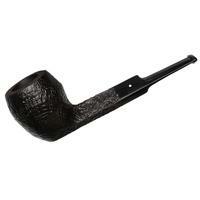 The Ruby Bark finish from Dunhill takes a vivid, scarlet stain and pairs it with a craggy sandblast. Here, the striking combination adorns one of the English marque's taller "04" Bulldog iterations, trading the characteristic beadline for a simple ridge about the waist. 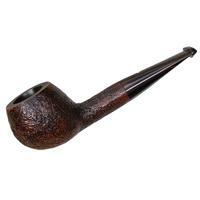 In this tapered-stem example, the form is lent some added sleekness through the diamond shank, echoed at the crisply chamfered and smooth polished rim up top. Accented with a trim band of sterling silver, the presentation here is classy, iconic, and indicative of Dunhill's prestigious reputation.